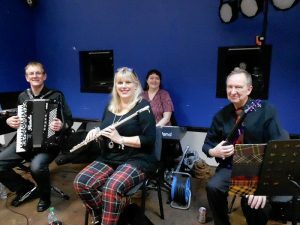 Saturday 16th March 2019 at Whitecraigs Rugby Club. We were at full strength with the 4 piece band for this fundraising evening. It was a superb night of dancing with a very enthusiastic audience. They all did well after a quick reminder at the start of each number. The band were not too bad either!